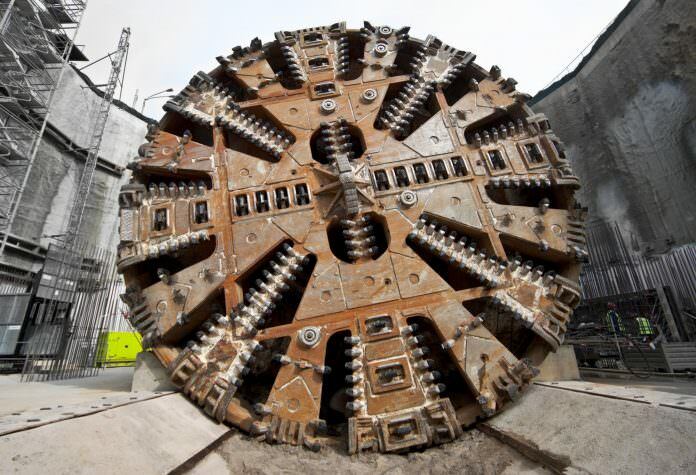 A stock photo of a tunnel boring machine cutter head. Credit: VILevi/Shutterstock. The Victorian Government has initiated an international search for a supplier to build four tunnel boring machines (TBM). The 100m-long, 1,000 tonne machines will be custom-built and used to cut through ground in Melbourne, Australia, for the state’s biggest ever public transport project – the $11 billion Metro Tunnel. The machines will take up to 18 months to build before they’re tested and shipped in segments to Melbourne. From there they will be delivered to launch sites at Arden and Domain, lowered into the ground and reassembled. By 2019, the TBMs will be in the ground and operating 24/7. As the machines operate – at times up to 40m below Melbourne’s surface – they will progressively install concrete linings to support the excavated tunnel. Each TBM will include offices, kitchens and toilets, and be operated by a crew of around 15 people. Premier Daniel Andrews said: “We’re building a world-class, turn-up and go train system for Victoria and will use the world’s best to get the job done. The Metro Tunnel is expected to create almost 7,000 jobs and free up space on the City Loop to run more trains. Planners estimate it will be complete by 2026.